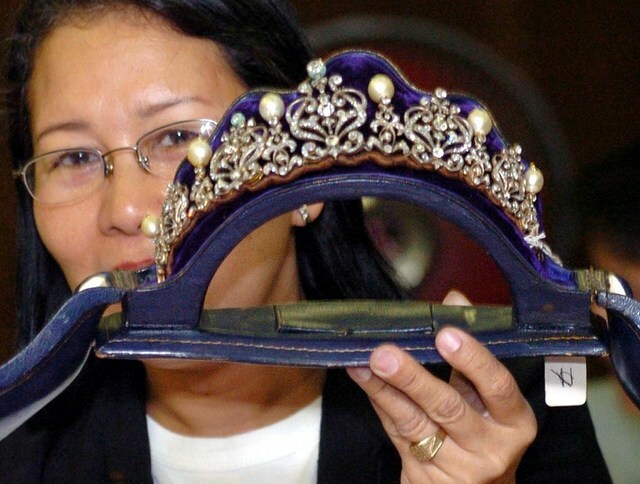 MANILA, Philippines – The Supreme Court (SC) affirmed an earlier court ruling ordering the forfeiture of a jewelry collection worth as much as $153,089, which belonged to former First Lady Imelda Marcos. The SC First Division denied the petition for certiorari filed by Marcos and her daughter Irene Marcos-Araneta which sought the reversal of the Sandiganbayan’s January 2014 decision declaring the jewelry collection as ill-gotten wealth. Known as the Malacañang Collection, the jewelry set is the latest of Marcos’ 3 collections which were disputed in court and have been stored in a bank vault for decades. The other two collections had already been forfeited in favor of the government. The collection is worth $110,055 to $153,089, according to the Sandiganbayan. Compared to the other two collections, the Malacañang Collection is made up of smaller, less expensive jewelry that the Marcoses left behind when they fled the country in 1986. The court noted that the Marcoses’ legitimate income from 1966 to 1986, during which the jewelry were supposedly acquired, only reached $304,372.43. “We reiterate what we have already stated initially in Republic v. Sandiganbayan, and subsequently in Marcos v. Republic: that ‘whenever any public officer or employee has acquired during his incumbency an amount of property which is manifestly out of proportion to his salary as such public officer or employee and to his other lawful income and the income from legitimately acquired property, said property shall be presumed prima facie to have been unlawfully acquired,” the SC said. 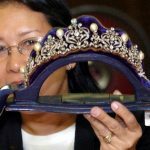 The Marcoses’ jewelry collections, worth at least $8 million, are kept in the vaults of the Bangko Sentral ng Pilipinas. The government plans to ultimately auction them off.